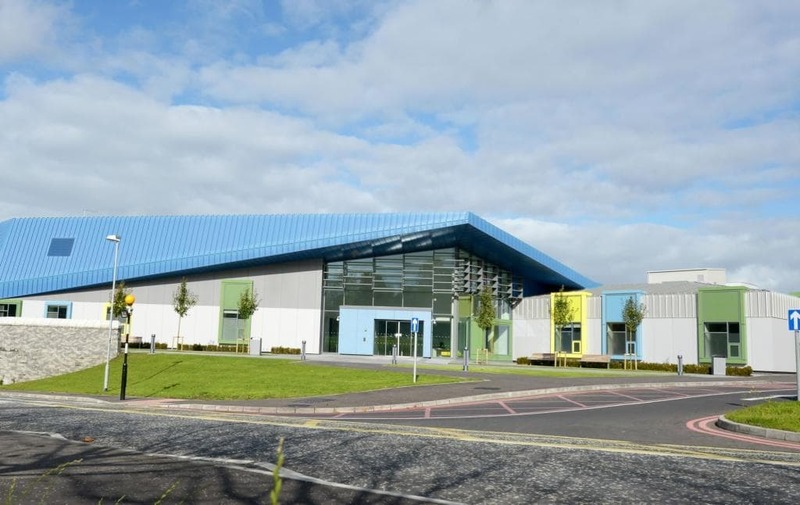 The new paediatric building at Craigavon Area Hospital opened in October 2017 and, following an invitation to the public for names is called the ‘Blossom Children’s & Young People’s Centre’. The new building is located to the front of the hospital and represents the first phase of a masterplan to develop and modernise the entire site. 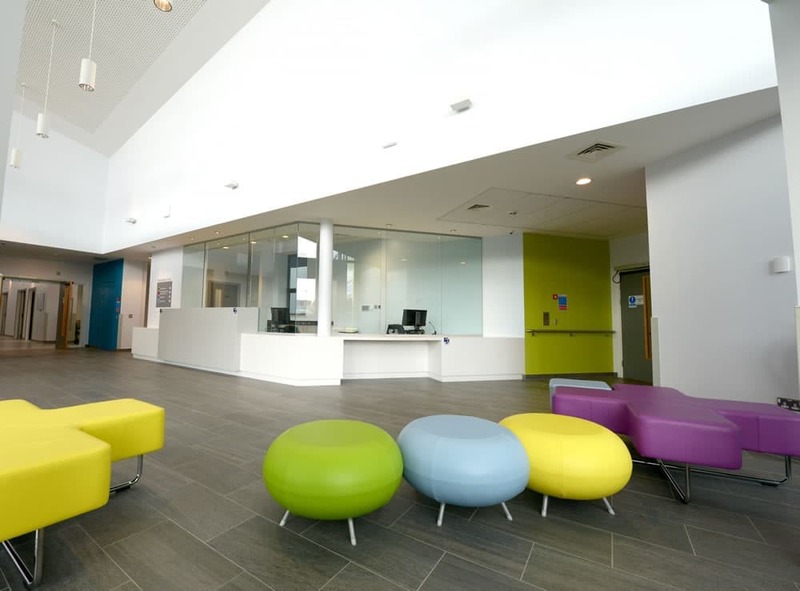 It serves to enhance facilities for children and young people across the Southern Trust area through the provision of outpatient’s services, inpatient wards and ambulatory services. 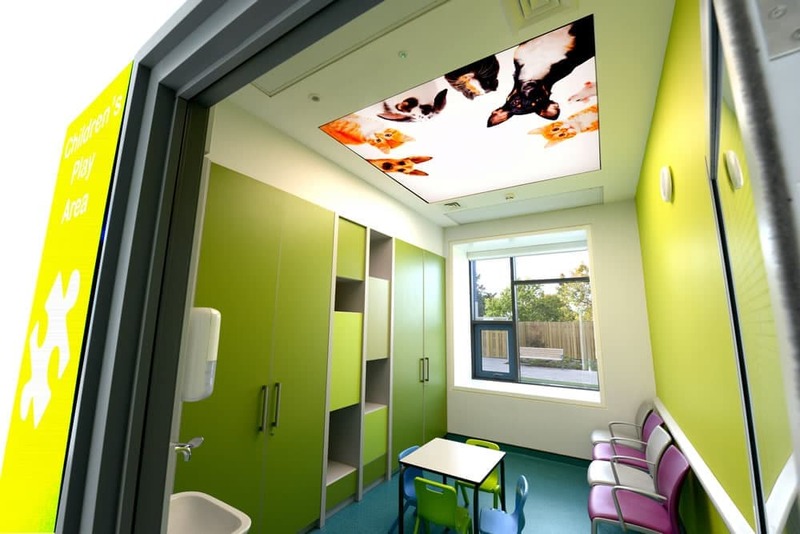 The project has been hailed as a triumph, not just it patient centred design but for its success in creating a building that has become a key focal point for the hospital. 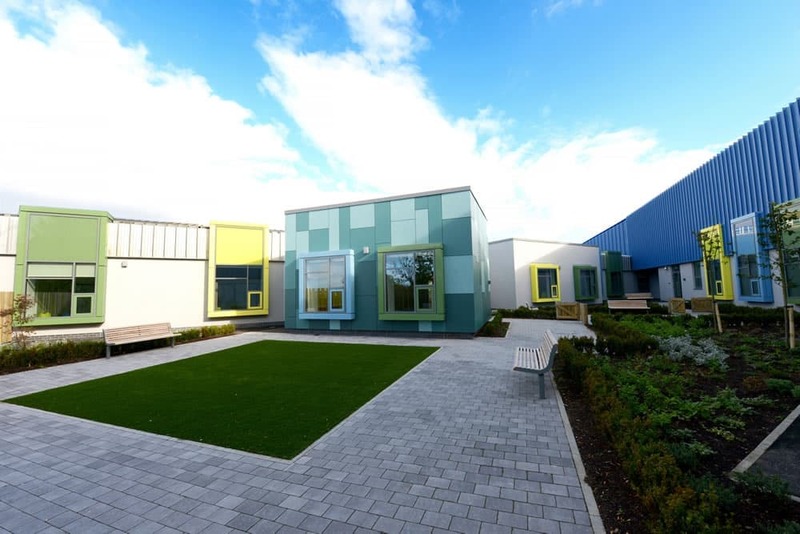 The state of the art facilities provided by the new centre are housed within a single storey and two storey steel frame building with pre-cast flooring and a lightweight roof system. 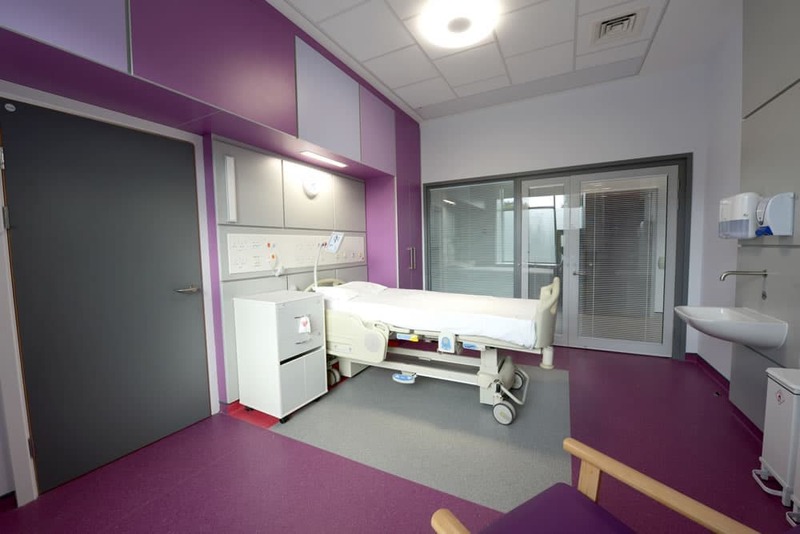 These include 25 individual rooms equipped with ensuite, 4 fully equipped nurse stations with digital screens showing individual ward occupancy and 1 fully equipped isolation room with interlocking medically sealed doors. 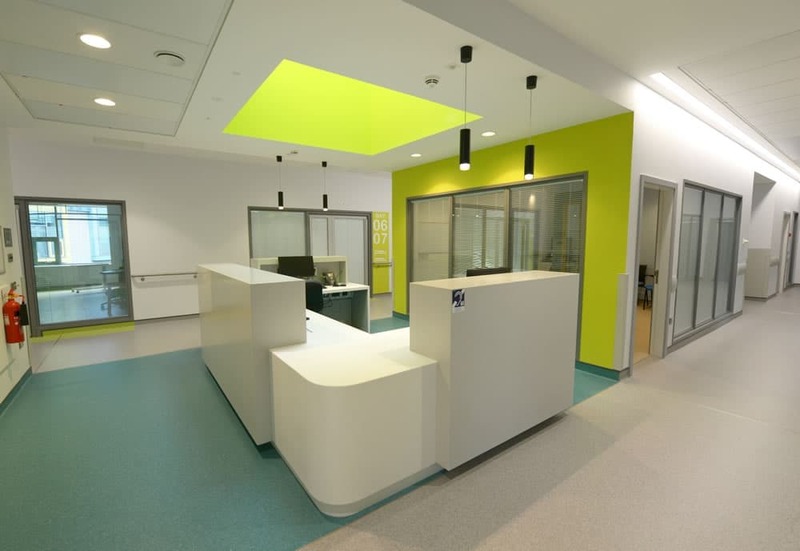 The building is linked to the main hospital via a purpose-built corridor which also provides an arterial route for key services such as medical gas, however power and other services are provided by new purpose-built M&E plant rooms. A central entrance canopy formed from the folding roof provides a sheltered area for patients and visitors arriving to the building and also creates a focus point with visual links through to the central courtyard situated behind the reception area. Significant external works were required to accommodate the building within the site and these included the reconfiguration of existing hospital drop-off points, relocation of bus stops, reconfiguration of entrances to main car park, new road layouts (including blue road layout) and the provision of additional car parking and external landscaping. Extensive planning and early engagement with key statutory bodies and blue light services staff ensured the new road infrastructure in and around the main hospital drop-off points and the ambulance blue light road were successfully completed and approved. 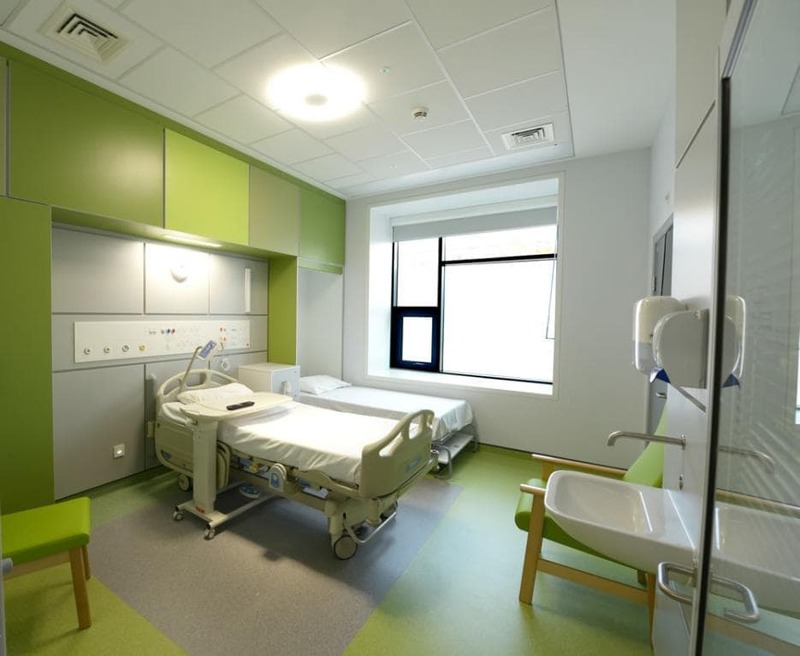 Detailed day to day management and planning including the use of Permit to Work systems agreed between Felix O’Hare and the Southern Trust minimised risks to the public arising through construction works at the front of a live acute hospital unit. Fortnightly project team technical meetings and liaison meetings with the Southern Trust assisted with finalising design queries and managing all aspects of this large-scale build e.g. co-ordination of substantial steel deliveries, pre-cast floor install etc.